Earnest Home Co. 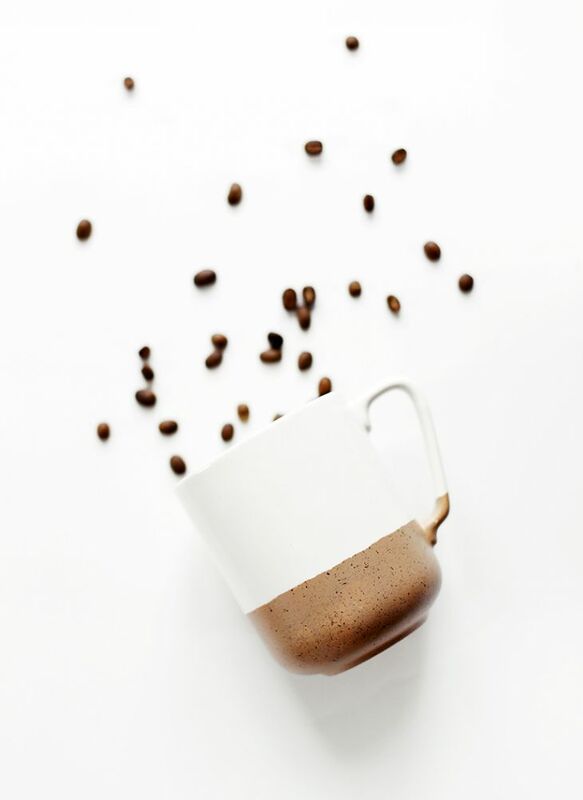 Earnest Home Co.
Transform your boring white mug to look like a gorgeous clay and porcelain mug by painting the bottom of the mug with two colors of dishwasher-safe paint to give the look of clay. Show off your romantic side and make some hand painted Xs and Os mugs using porcelain paint to make the perfect mug for sipping tea from, or give it to your boyfriend or girlfriend as a surprise gift. Show off your artistic side by freehand painting 3 brushstrokes side by side of complimentary colors using porcelain paint on a white mug to make yourself a new mug. Anyone who gets a hot mug of cocoa is sure to smile when you serve it in this super cute DIY sprinkles mug that is made by downloading a sprinkles template file that works with your Cricut and assorted color vinyl. After the vinyl sprinkles have been cut with the Cricut just peel and stick them on the mug. 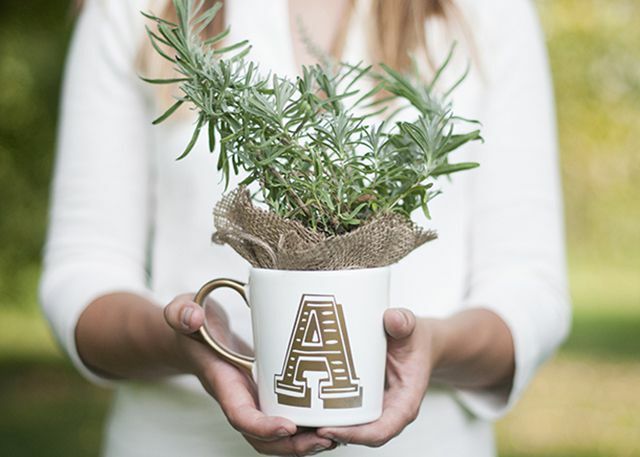 A personalized mug with a potted herb plant placed inside is a great gift idea that you can make for under $5. Customize a blank mug by crafting your own letter stencil using vinyl and use spray paint to paint in the design and the mug's handle. Add some metallic detailing to your old mug by painting the bottom part of the cup with metallic ceramic or multi-purpose craft paint. Break out your favorite bottle of nail polish and use it to paint your mug to create a stunning watercolor splash finish on the mug. Best of all each mug is unique, and they are so simple to make even the kids can join in making their own mug. Need you first cup of coffee before you are ready to take on the day? If so, make one of these fun DIY but first coffee mugs that are made by writing on a blank mug with a paint marker. Put a smile on someone's face by writing a cute message on this handmade chalkboard mug that has a central chalkboard text bubble so you can easily customize the mug with a piece of chalk or a chalk marker. One great idea would be to make a set of these mugs for your household and have everyone write their name on their mug they are using. Hand paint your own design from such as dots, lines or triangles on an old mug or cup and saucer with this easy DIY that you can do tonight. Draw on your own quirky pattern using a porcelain paint pen on a mug to make a fun cup for your coffee break at work. Like most DIYers chances are you have some leftover gold spray paint from a previous project, so put it to use by updating your old mugs by adding some gold detailing to the bottom of the mug. Add a bit of sparkle to your morning by DIYing a glitter mug that is dishwasher safe after the mug has fully dried. Learn how to get glitter to stick to your old mug and have it stay on even after repeatedly being washed in the dishwasher by visiting White House Black Shutters.